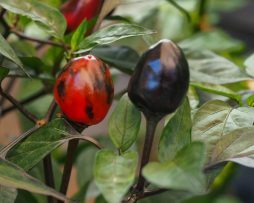 This chilli is so striking it is often grown indoors as an ornamental. 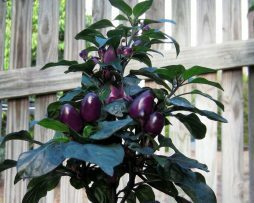 This beautiful plant has dark purple stems, purple/green variegated leaves and produces stunning purple flowers. Pods grow in clusters to about 1 inch upright. 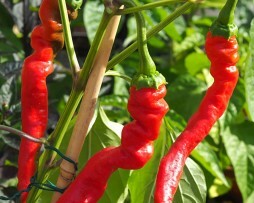 They are mildly hot and turn a vibrant red when mature. The Purple Prince is from the USA and is a wonderful little ornamental. 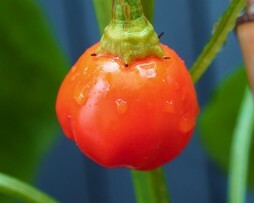 It only grows to about 50cm high so is perfect in a pot on your balcony. 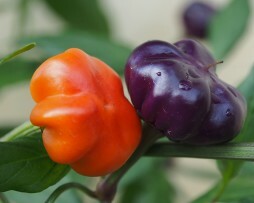 The colour transition of the ripening fruit is truly stunning! 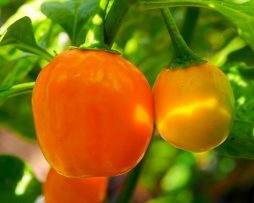 It is very prolific and fruits for a very long time. 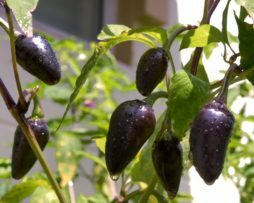 So you have a great decorative plant and some hot little chillies to use in the kitchen. Win-win!